Staff Sgt Kenneth Hardin was a career soldier and had been in the Army f or 10 years when he was sent to Vietnam. His tour started on January 23 1968 and was assigned to the 526th CC&S on Februrary 3, 1968. 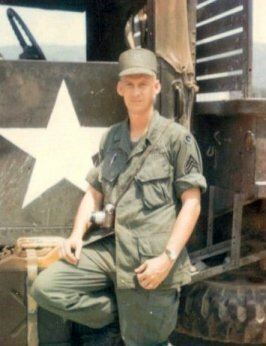 Kenneth Allen Hardin was killed in action on April 9, 1968 when his company was attacked by enemy sappers. He was in-country 77 days. He was 27. He left a wife and two small children. He is buried in Clearfield Cemetary in Morehead, Kentucky.